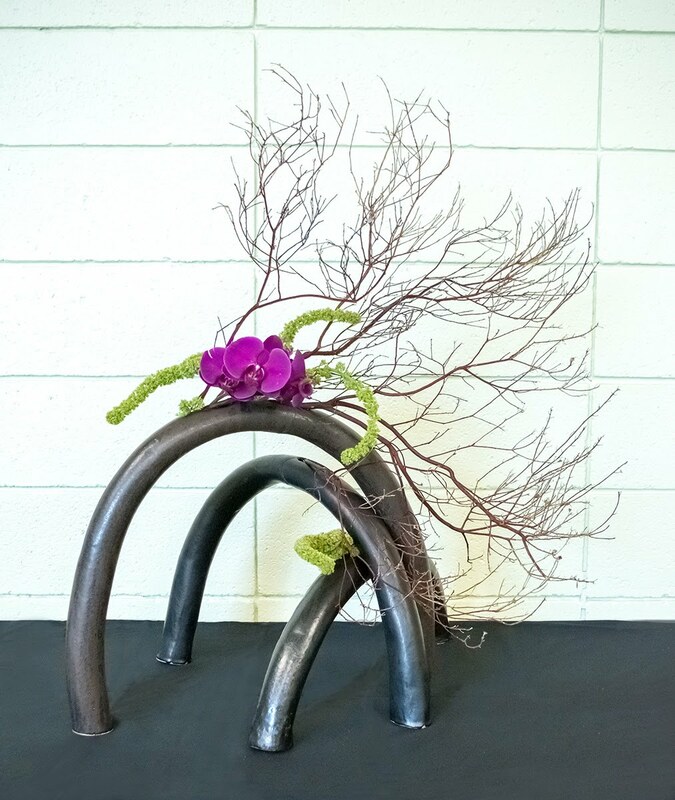 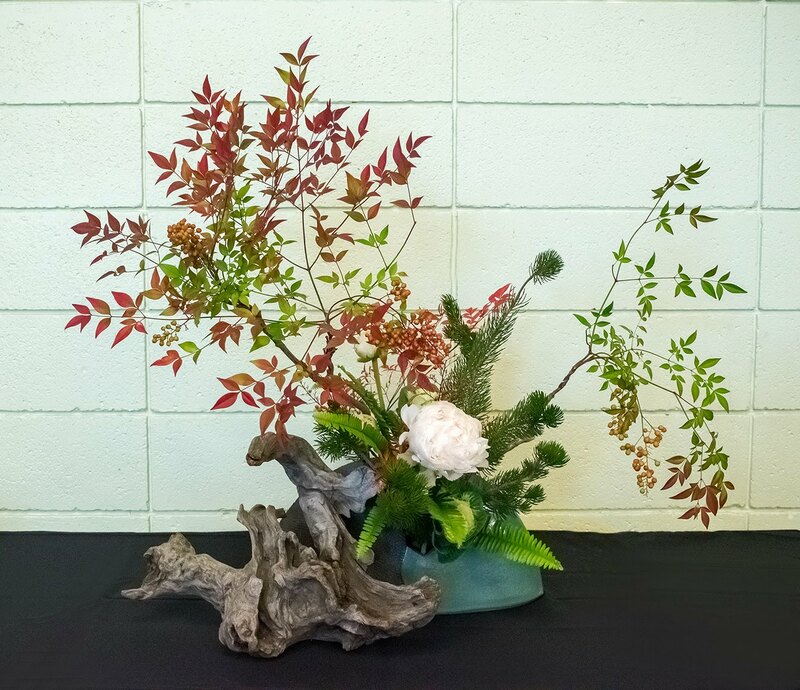 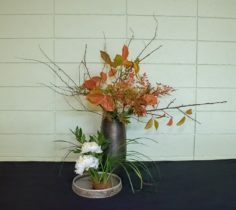 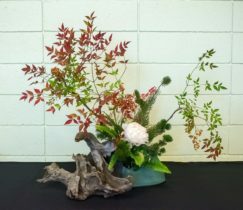 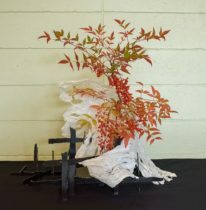 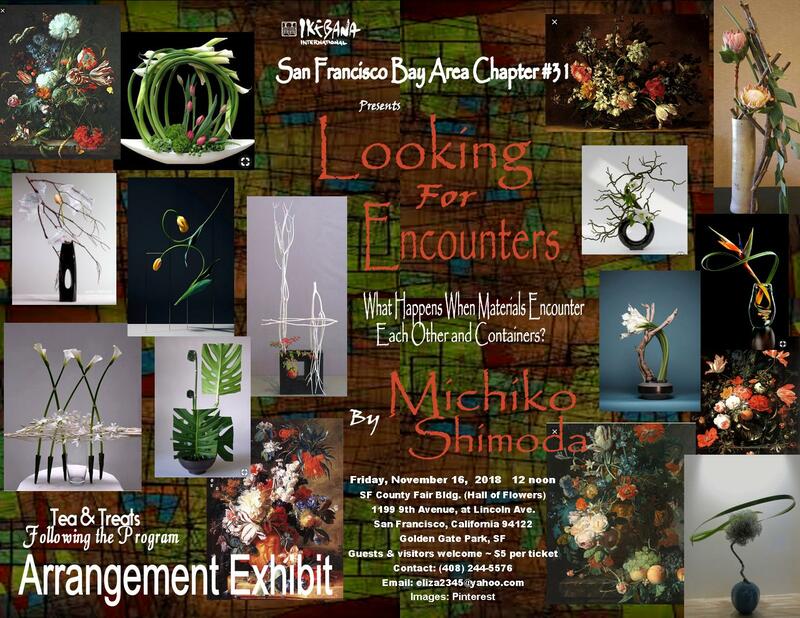 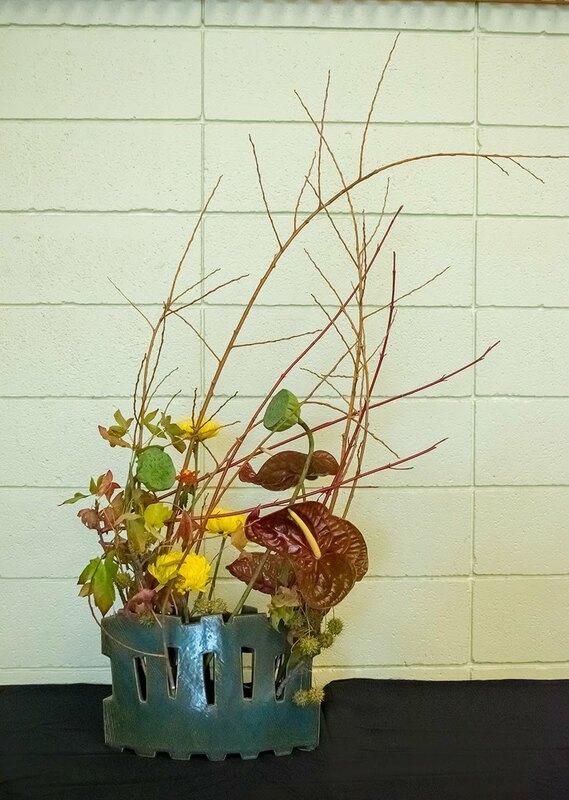 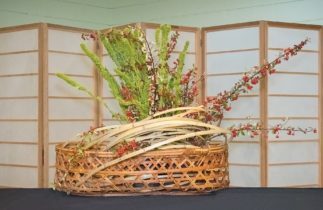 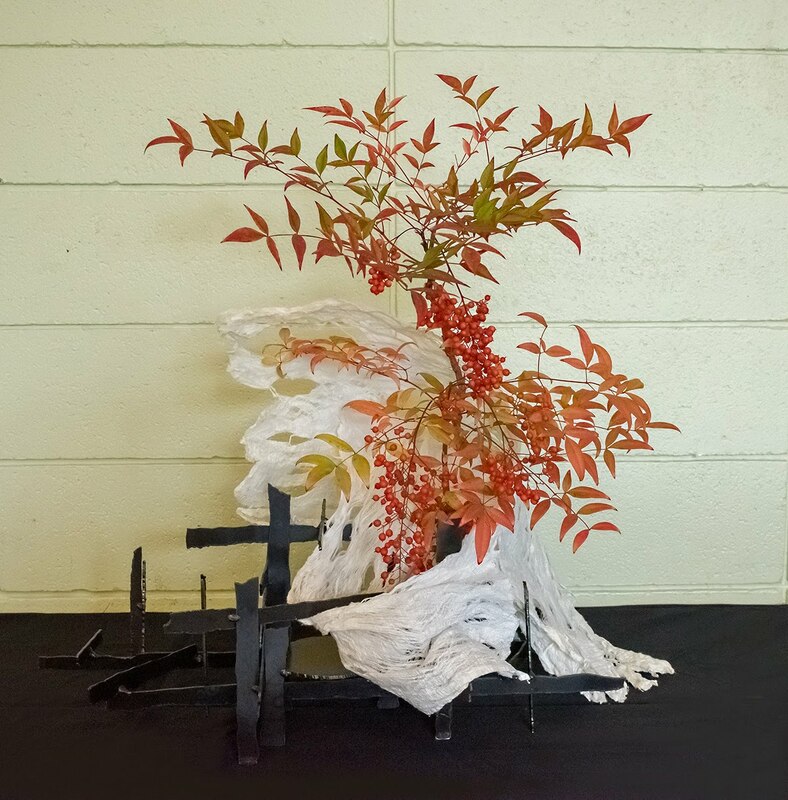 Michiko Shimoda is a Sogetsu Ikebana flower instructor in Saratoga, California. 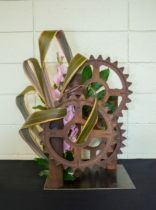 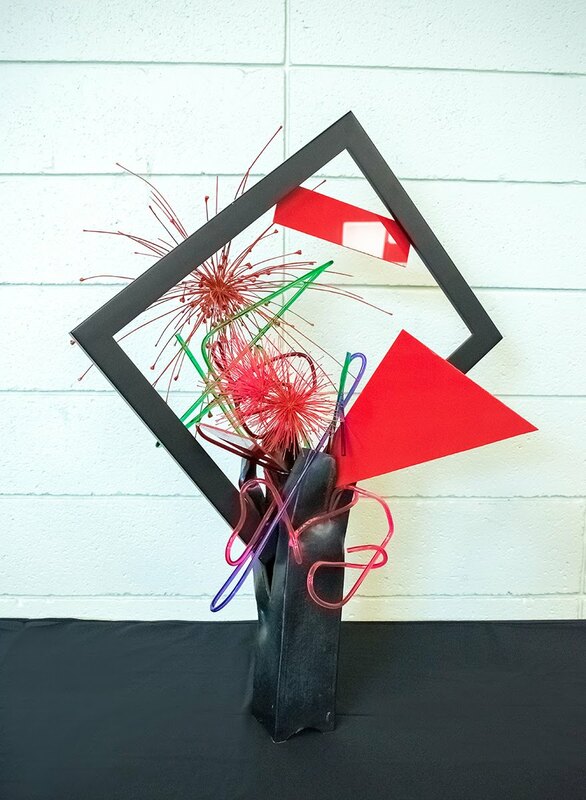 She has been teaching in Saratoga and Fremont community center and is one of the artists displaying at the de Young museum’s Bouquets to Art exhibition and Filoli Garden annually. 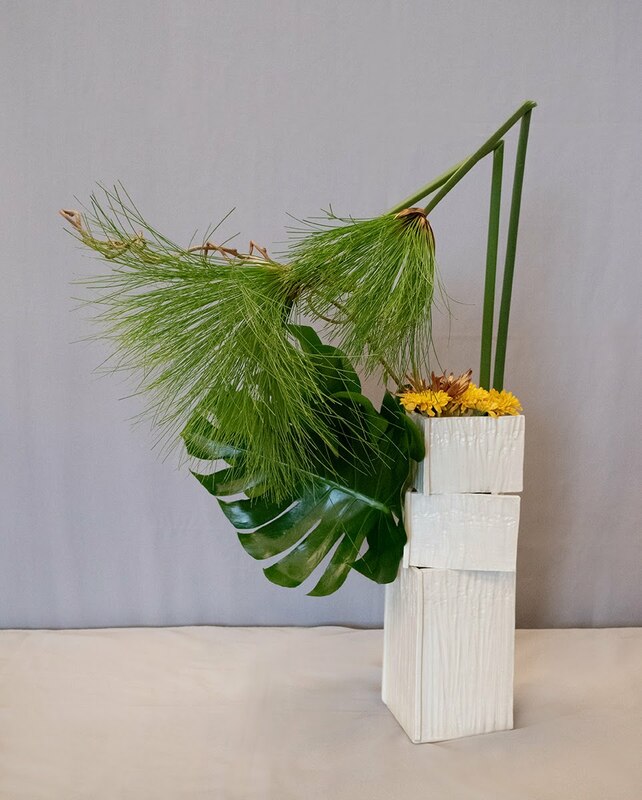 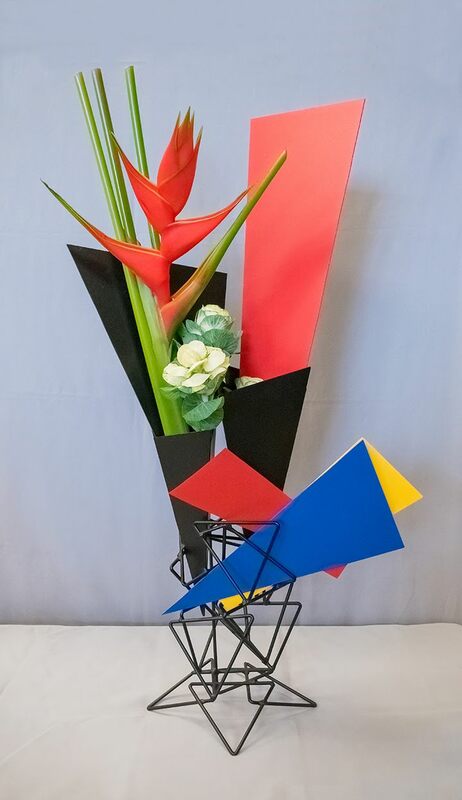 In 1970, she studied Ikebana at the Sogetsu School in Japan under one of the head instructors, Hiroshi Teshigahara. She also pursued creative art classes including ceramics, drawing and sculpture. 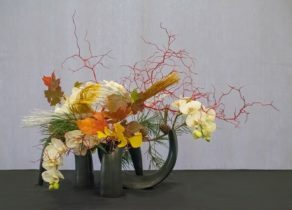 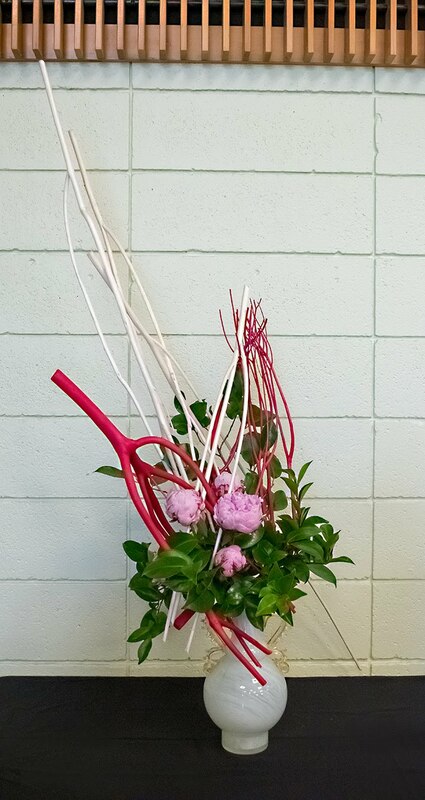 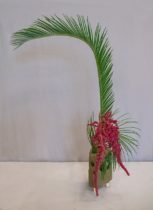 In 1989, after she moved to the U.S., she continued her Ikebana education under Syoka Narimatsu and later, Soho Sakai. 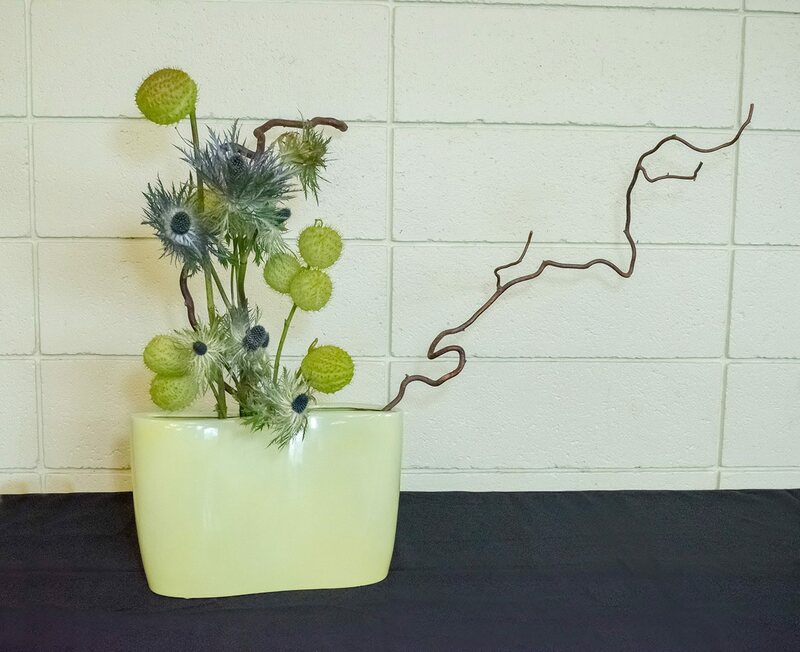 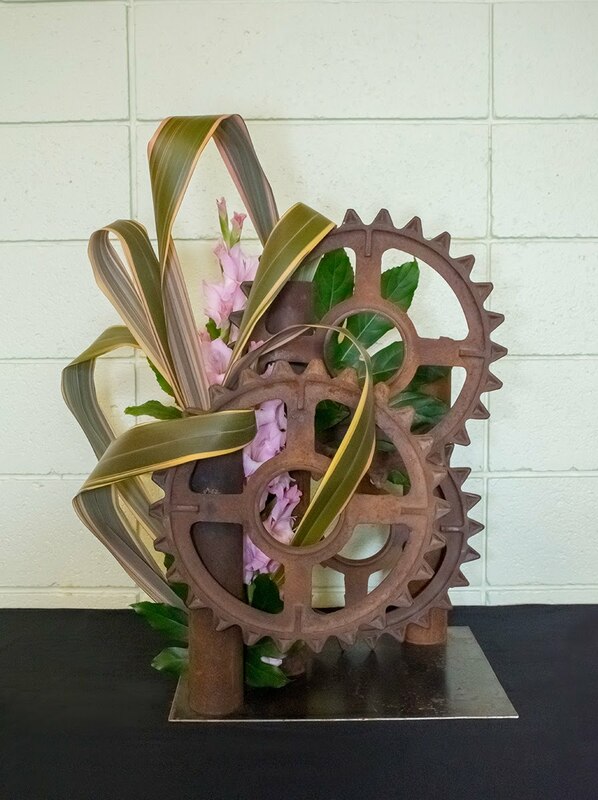 She continued to establish her ceramic techniques to combine with her Ikebana presentations. 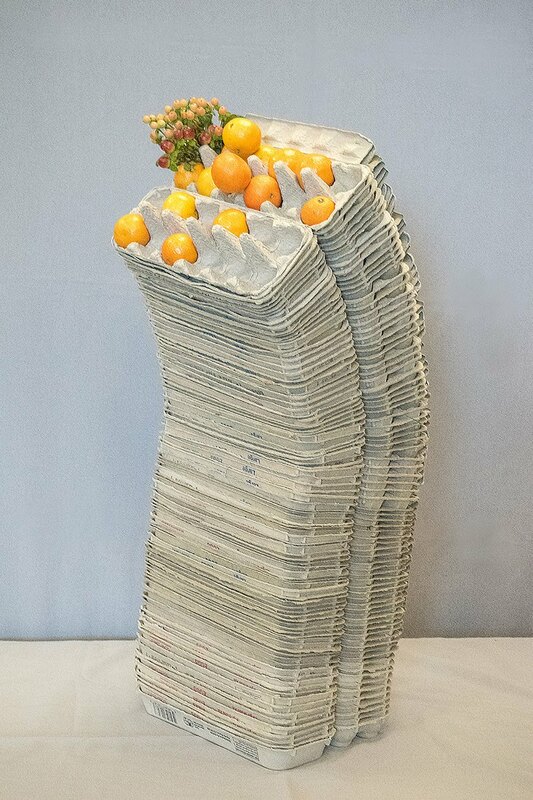 As a result, her unique ceramics were purchased by De Anza College in 2005. 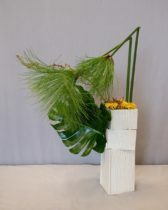 She was awarded the Riji diploma in 2011. She has been invited to give demonstrations and workshops at numerous locations. 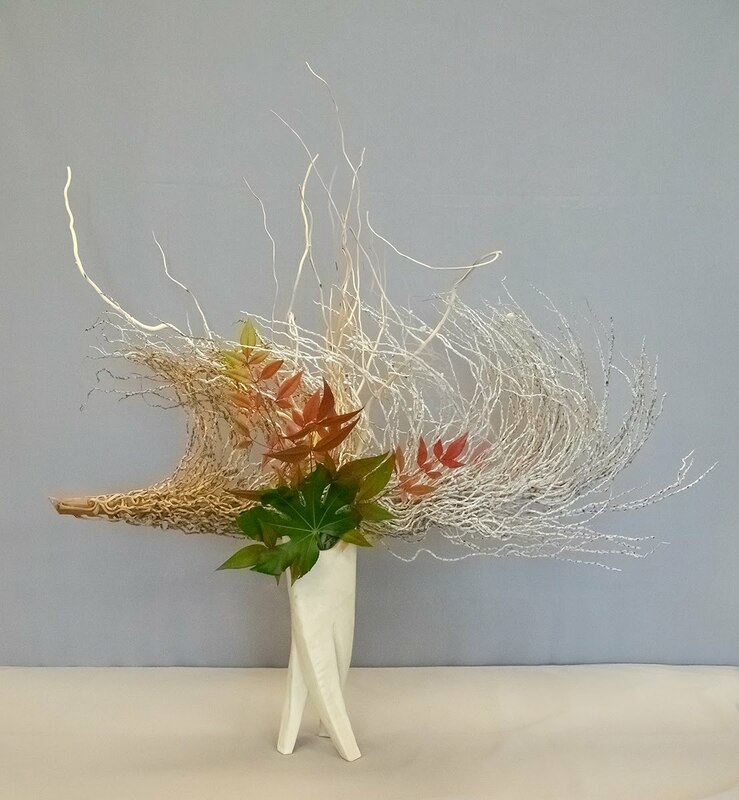 In 2017, she was awarded the Overseas AkaneTeshigahara Award in Japan.